The two-day event at the ancient shrine, categorised as 'Great Living Chola Temples,' by the UNESCO, faced the ire of pro-Tamil outfits like Tamil Desiya Periyakkam which had support of parties like the CPI(M) and Viduthalai Chiruthaigal Katchi. A meditation camp by Sri Sri Ravishankar at the Brihadeeswara shrine, a UNESCO World Heritage temple at Thanjavur, faced opposition from pro-Tamil outfits, as the Madras High Court granted interim stay against the programme prompting the organisers to shift the venue. A division bench on the court's Madurai Bench, comprising Justices K K Sasidharan and Audikesavalu, after hearing a plea, granted an interim stay against the event. The court directed the Thanjavur district collector and police Superintendent to ensure that the event did not take place in the temple and instructed them to remove chairs and pandal put up for the programme. The petitioner N Venkatesh, in his plea, argued that if the event was allowed to be held, it would set a wrong precedent and would lead to similar events in future as well. 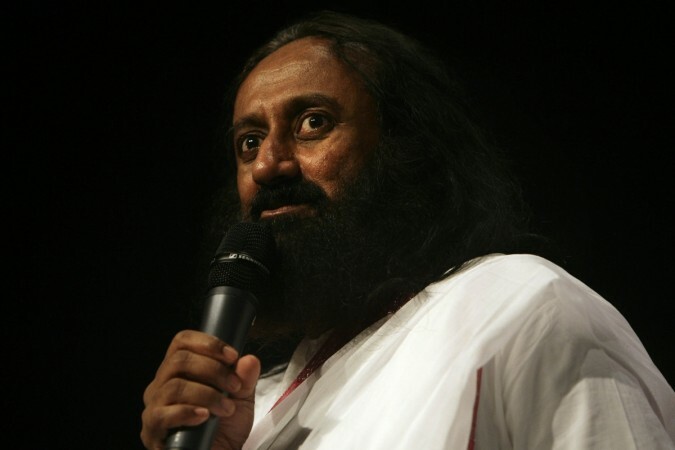 Such events, if held, would affect the temple, he said and cited the National Green Tribunal holding the Art of Living responsible for the damage to the Yamuna floodplains due to an event it held in 2016. Following news about the meditation camp, a row erupted as to how permission could be granted for Art of Living, a private body to hold the event at the temple. The shrine is a heritage site that fell under the purview of Archaeological Survey of India (ASI) and the state government's Hindu Religious and Charitable Endowments Department. After an independent journalist's tweet about "a tent-like structure," near the temple vimana (tower) asking how the heritage temple could be disturbed, pro-Tamil groups and parties started protesting. "There is no scope under the law to hold such events in the Thanjavur temple, which is protected by the ASI and it is a UNESCO Heritage site, if permission was given it is against the law," VCK general secretary D Ravikumar told PTI. The VCK leader said his party had no objection to the event per se but only the location. "It is a 1000 plus year monument which is a treasure of Tamil Nadu, any structure even if it is temporary cannot be put up there," he said. When pro-Tamil outfits attempted to take out a procession at Thanjavur against the event, they were detained by police and additional police pickets were deployed. A spokesperson for Art of Living said they had got approval from the Hindu sriReligious and Charitable Endowments Department and the ASI well in advance. "Since it is normal to have spiritual discourses in temples, the programme was organised here," she said. A statement from Art of Living said its volunteers were engaged in cyclone relief work at Vedaranyam and Pudukottai. While Ravishankar was scheduled to visit such areas to oversee the rehabilitation work, local people wanted him to facilitate a meditation programme. "It is unfortunate that a couple of people with vested interests...are quoting false allegations," it said. The event, christened "Vigyan Bhairav Master class meditations," that encompasses deep meditation techniques to tap super consciousness, has been shifted to a hall near the temple, organisers said. It is being held from Friday evening and would conclude Saturday, they added.